If you’re considering a whole house water system for your home, you’ll be pleased to know that RainSoft’s systems can provide a number of benefits throughout your entire residence. We offer a complete range of residential water treatment systems, including options that can help you mitigate unpleasant odors, off-putting tastes, and unwanted residual sediment. No matter what is keeping your home’s water from being as great as it could be, RainSoft can provide you with a high-performance solution. Once your problem-solving system has been installed, you’ll enjoy better-quality water from every tap and faucet in your home. Your water will smell better, leave fewer stains and residues behind, and it might even be healthier for your family to drink. 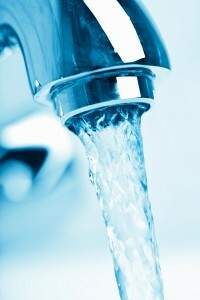 To get things started, we will schedule a complimentary in-home water test at your convenience. This test allows us to assess your water firsthand, so that our knowledgeable team can recommend the right products to address the exact contaminants you are dealing with. Additionally, this means that you won’t have to invest in technologies you just don’t need. Simple, straightforward, and effective – that’s the RainSoft way. For more about our whole house water system options, or for help setting up a home water test with your nearest authorized RainSoft dealer, contact us today. We’ll help you make your good water better.